Upon first navigating to CasinoLuck.com, players will find the casino site to be very accessible without even being logged in. Casino Luck allows players to familiarise themselves with their slot, poker and other live casino games. This is not the rule for many online casinos, but rather unsurprising for Casino Luck, which shines with transparency through the site. The required gambling license is displayed in the disclaimer field, where one ought to expect it, alongside information on the various payment options Casino Luck accepts. It is fair to say, that Casino Luck is a thoroughly well-established online casino, attracting a great base of regular visitors, as a result of its professionalism. Basics aside, Casino Luck has teamed up with some of the best software providers on the market – namely, Net Entertainment, Microgaming, NYX, iSoftBet, IGT and Play n’GO – to ensure customers always have access to the latest, and most popular games currently on the market. To illustrate Casino Luck’s assets in numbers, the site provides over 900 games in its casino category, which includes video slots, classic slots, jackpot slots and video poker games. In its live casino section, 22 tables are currently available. These are provided by software companies Evolution Gaming and Ezugi, which specialise in live casino software. It is needless to explain why jackpot games are so popular. Casino Luck, well-aware of their attraction, stocks a total of 24 jackpot slots. Among these, is Net Ent‘s Hall of Gods, which on occasions reaches several million, as well as Microgaming‘s Lots a Loot – a game, with a suitable name. The games all load seamlessly, and never lag; and if they do, it is likely down to your internet connection. The platform is provided by Every Matrix and coupled with high-quality games. For that reason, it is no surprise that, when playing, I never experienced any hick-ups. The very same applies to the Casino Luck mobile version. All casino and live casino games offered on Casino Luck‘s desktop version run just as smoothly on tablet or mobile as on desktop. In fact, the touch screen makes playing even more intuitive. The features provided by Casino Luck within the account section are handy. First, it is easy to manage account details, such as passwords and your email address. Next, viewing account statements and transferring between accounts provides insights, which can help you maintain a happy casino balance. Joining Casino Luck just got better. The revamped welcome bonus now consists of two bonuses, a 100 % bonus on a player’s initial bonus and 50 % bonus on his second deposit. Furthermore, players also receive 200 free spins in Starburst by Net Entertainment. 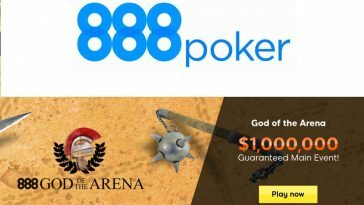 This welcome offer is more comprehensive than in many other online casinos. However, coupled with the great bonuses offered to loyal players, the casino promotions at Casino Luck can truly be described as outstanding. Every month, players receive a 50 % bonus on their first deposit of the month. Furthermore, every time players play a game, they can earn Frequent Player Points. These points are calculated at set rates and can be exchanged for real cash, at a generous rate. Further details are outlined on the website, in a fashion that is easy to comprehend. Frequently, Casino Luck runs seasonal promotions. These are listed under the ‘promotions’ tab, which is accessible from the main menu. Alternatively, players can opt-in to the newsletter and receive all that is on offer handily to their inbox on a weekly basis. One free withdrawal a month is another extra at Casino Luck. In general, the fees, alike the processing times are low. They are dependent on the payment method chosen, of which there are many. Casino Luck allows payments via e-wallets and other alternative payment methods, as well as conventional credit and debit card types – typically, processing instantaneous. The maximal and minimal transactions limits are fair, and set to ensure player safety. Given the great structure of the website and a comprehensive FAQ section, which answers an array of common questions, including technical requirements, as well as details on bonuses and other promotions, it should not happen too frequently, that players will need to contact the Casino Luck team. Support is nevertheless available, and that support promises to respond to queries sent to support@casinoluck.com in less than 24 hours. For urgent matters, a live support chat is just one click away. Casino Luck is second to none. The site is the ideal middle-ground between the betting giants, stocking a confusing amount of game types, and the smaller sites, which commonly do not stock as many quality games. Due to its popularity Casino Luck is in a position to reward its customers, and chooses to do so, with great promotions. This makes the site pretty special. 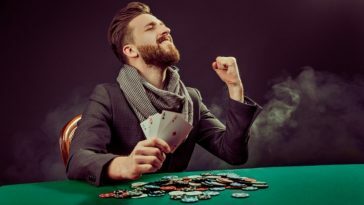 Previous article Where Can I Win More, In an Online Casino or Poker Site? Next article It’s hard to resist taking a chance with Next Casino.